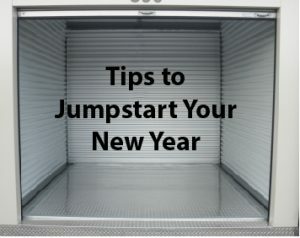 Storage Plus Boston offers temperature controlled storage units to help you this new year. Along with self storage in Waltham MA, Storage Plus Boston find a few podcasts to help you get organized. Podcasts are a fast way to pick up tips for how to organize your schedule, business, and home. Check out these online series and give our storage experts a call when you are ready to rent storage in Waltham MA. Choose what means the most to you at the time and move the rest to storage! Living minimally does not mean you need to get rid of all your childhood memories, our storage space can help. We offer secure storage options for seasonal items, and keepsakes. Podcasts like The Minimalist or Simple Sophisticate, are here to make your space unique after the extra items are in storage. Simple Families presents common issues new parents, large families, and working parents have and solutions. They take questions from real listeners and give them ideas on how to solve them. Everything from a scheduling mix up to helping your children grow, Simple Families is an easy listen podcast with helpful tips. Let Storage Plus Boston experts assist with your next need for self storage. Use these podcasts and storage organization tips to start your new year with a secure space for your needs.